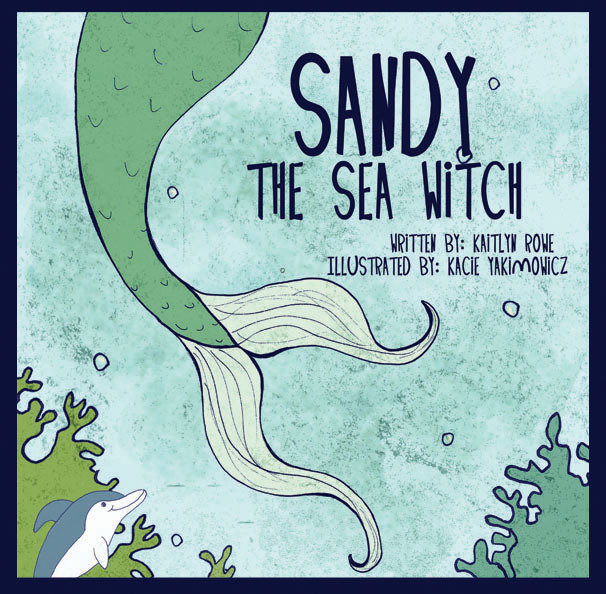 "Sea Witch® Squeezer" - 2018 Sea Witch® Halloween & Fiddlers' Festival! Price includes pin cost plus shipping & handling. The Wicked Whale is celebrating 30 years! 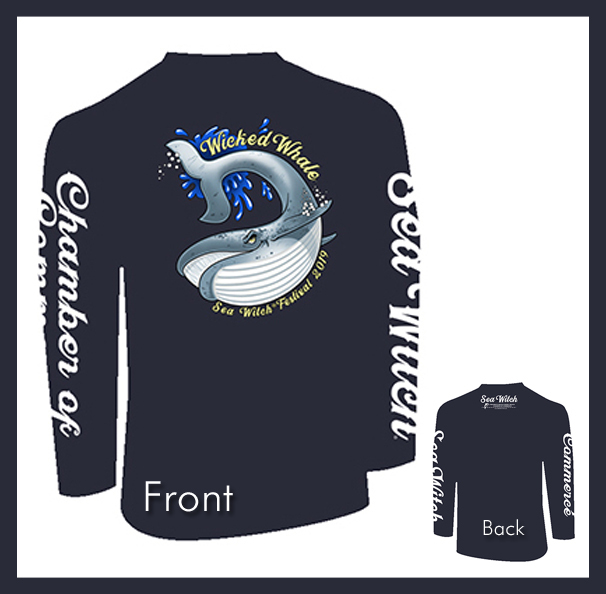 Order your 2019 Sea Witch® Festival Event T-Shirts!!! Price includes t-shirt cost plus shipping & handling. Adult T-Shirts are navy blue, long-sleeves. Youth t-shirts and additional event gear will be available during the Festival, October 25-27, 2019. 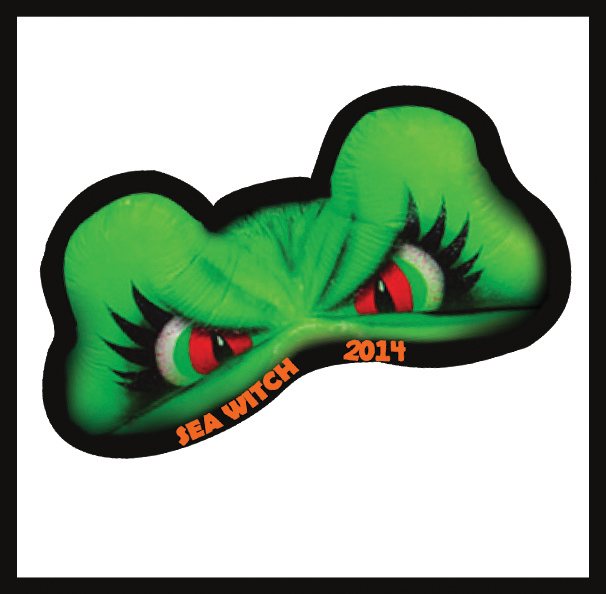 2012 Sea Witch® Halloween & Fiddlers' Festival! Price includes retired pin cost plus shipping & handling. Mummy Knows Best! 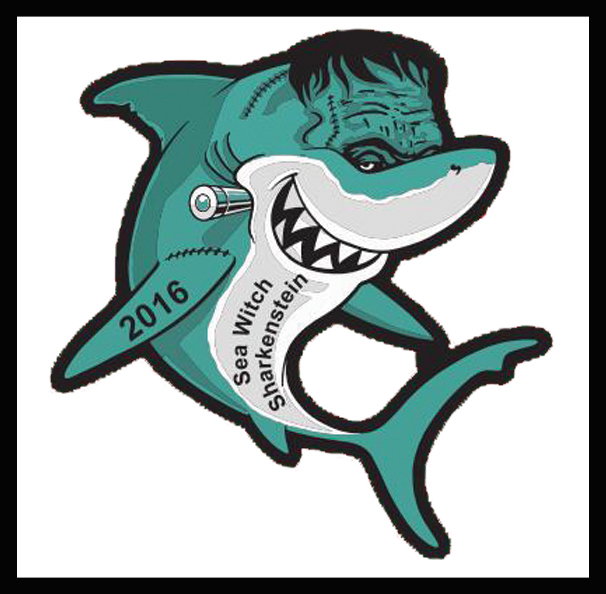 2011 Sea Witch® Halloween & Fiddler's Festival DOG Event Pin - Retired. 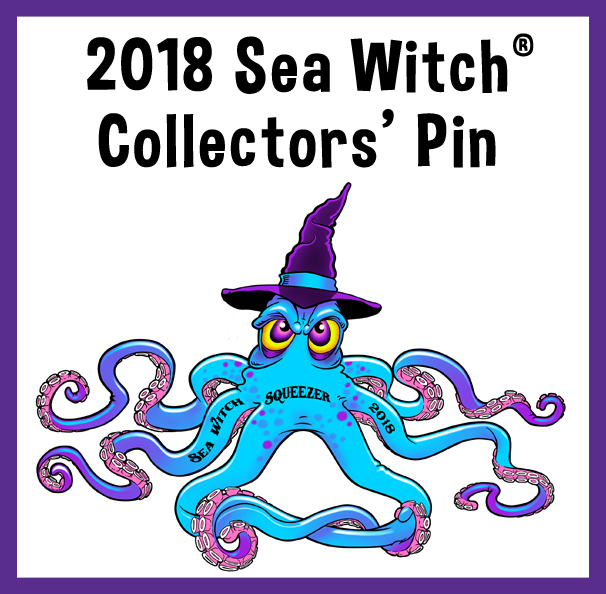 2008 Sea Witch® Festival Event Pin - Retired. 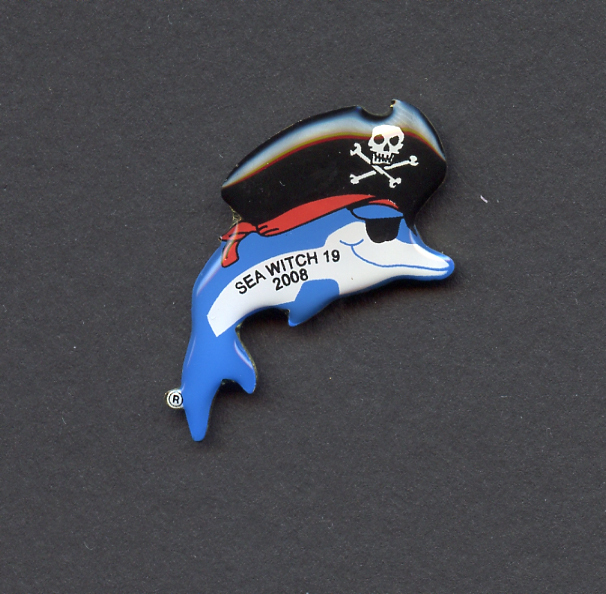 2006 Sea Witch® Festival Event Pin - Retired. 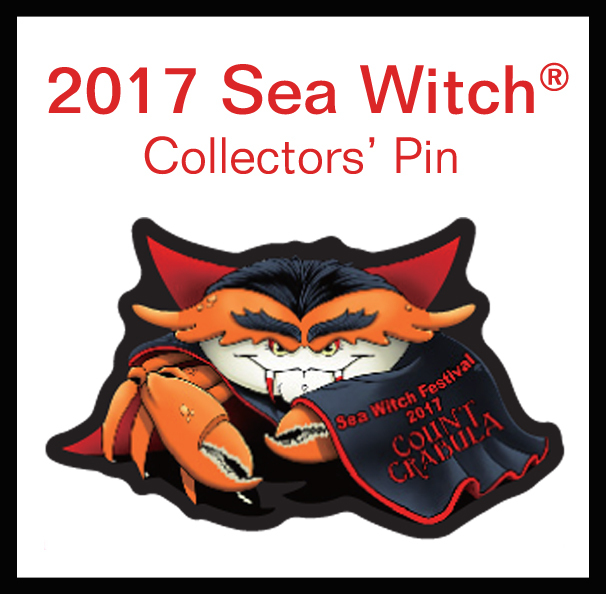 2004 Sea Witch® Festival Event Pin - Retired.